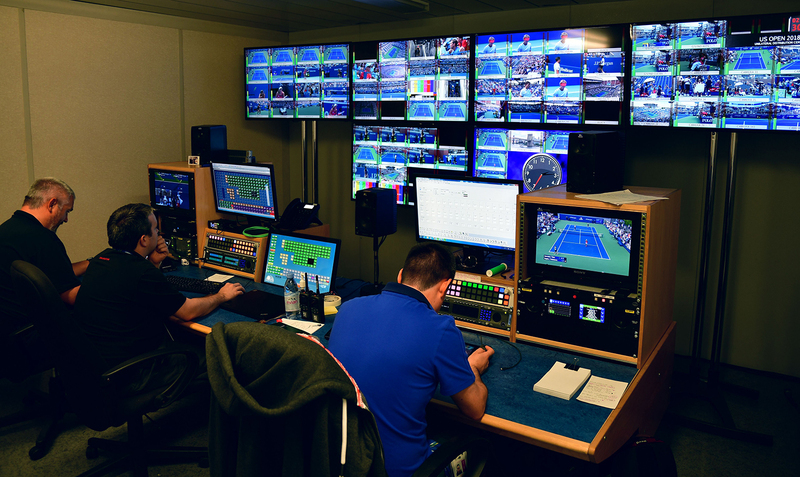 In 2015, ESPN and Gearhouse Broadcast revamped the entire broadcast operation at the US Open, replacing an army of trucks, temporary cabins, and flypacks with a two-story broadcast center at the USTA Billie Jean King National Tennis Center (NTC). Three years later, this streamlined operation continues to bear fruit for domestic-rights holder and host broadcaster ESPN, which produced more content than ever in an ultra-efficient manner. 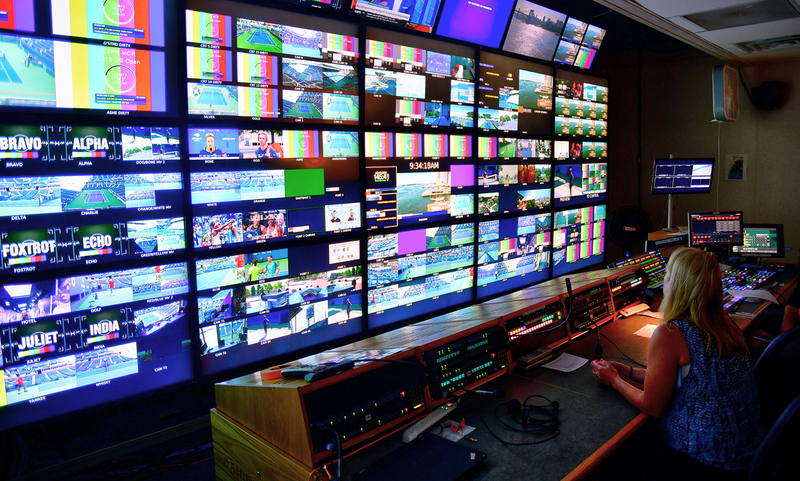 This year, Gearhouse Broadcast continued to fine-tune the broadcast facility and find new efficiencies for ESPN and the host-feed operation. The two-floor broadcast center is largely the same as in the past three years. 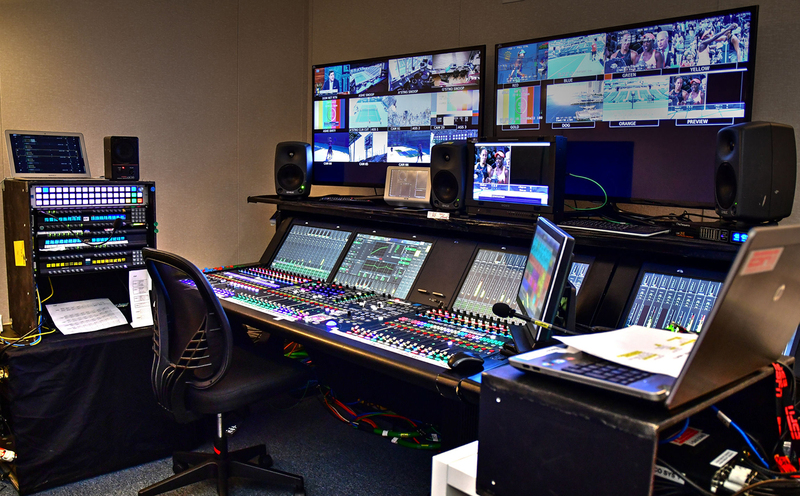 The lower level houses the Central Apparatus Room (CAR) with racks and all technical infrastructure; the upper level features seven audio rooms and nine production-control rooms for the seven individual court feeds, the ESPN domestic, and the ESPN International. Gearhouse also facilitated the Technical Operations Center (TOC) for ESPN. 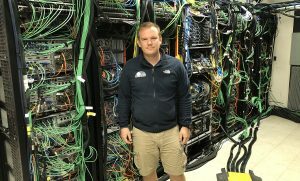 Imagine’s IP3 routing matrix provided the backbone of the system with Lawo’s VSM providing an additional control layer. In terms of enhancements on the NTC grounds, Gearhouse has upgraded several robotic systems at various stadiums to AFC-100 pan/tilt heads from Mark Roberts Motion Control. In addition, the company worked closely with ESPN to deploy a new CineLine two-point aerial system running between Court 10 and Louis Armstrong Stadium, a venue that debuted with its own set of challenges at this year’s Open. Among those challenges, once the tournament began, Camera 1 inside Armstrong was determined to be too high. It was moved to a lower, robotic solution overnight with the operator sitting up in the gallery. 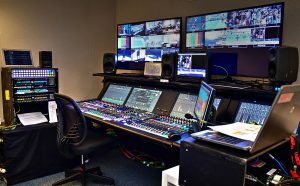 As part of the continual innovation of the host broadcast, certain replay angles were also replaced with Sony HDC-4300’s running high-frame-rate software. 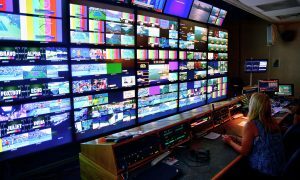 The eight phases from the cameras were run in 3G mode and were split between a Channel Max EVS on the host network and a Channel Max on the ESPN domestic network. As challenges within the 600 MHz spectrum have increased, Gearhouse has migrated its roving audio and comms facilities to the 900 MHz range. Major investment in Wisycom RF-over-fiber equipment has made this feat possible. 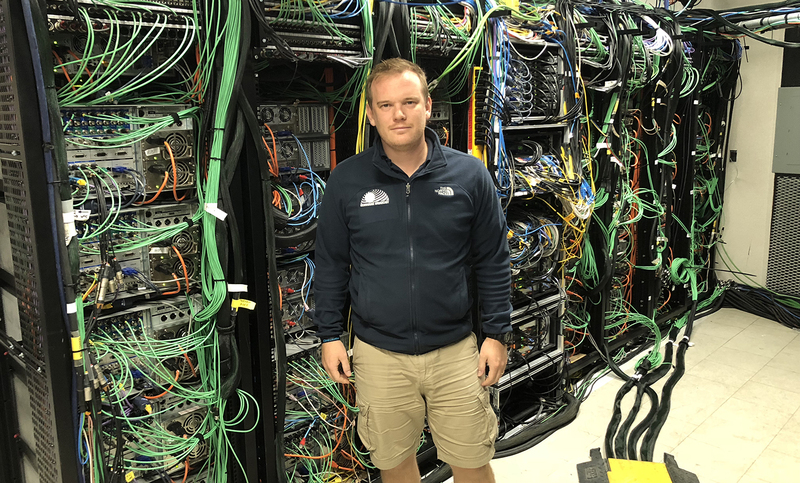 Gearhouse Broadcast’s Hamish Harris inside the Central Apparatus Room at ESPN’s US Open broadcast center. 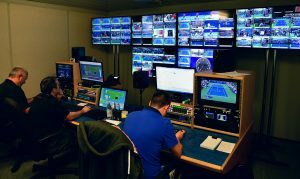 The most significant change to the US Open operation this year was the addition of a new automated-production system to cover the nine outer courts at the NTC. Gearhouse successfully facilitated the move with SimplyLive ViBoxes with automated Tr-ACE cameras supported by Fletcher. Deployed at each court were four cameras, Hawkeye official review, and several beauty cameras. Production was handled in a standalone facility with a bespoke CAR. Audio was transported over IP and integrated into a fully redundant core, giving complete control over video and audio sync. CLICK HERE to check out all of SVG’s “Live From the US Open 2018” coverage.